GPS tracking has become a common thing in the modern world: thousands of companies use GPS hardware to monitor transport location, speed, fuel consumption and other parameters. Absolute majority of GPS devices use GPRS for transmitting data to tracking systems’ servers. Despite the rapid development of telecommunication technologies, cellular connection still does not cover the whole globe. To get around the issue, some opt for a “black box” recorder of GPS trackers: it stores the data on unit movement and transmit it to the server as soon as cellular network is available. But what about hose users who need constant real-time tracking? The solution is found at 740 - 35 000 meters above the ground. In other words, real-time GPS tracking in the areas with weak cellular signal can be provided by devices with satellite terminal. Iridium, Inmarsat, Thuraya, Globalstar – most famous global satellite networks – provide duplex transmission of voice messages and other data in the remote regions with no cellular coverage. Iridium provides complete coverage of all ocean areas, air routes and all landmasses – even the Poles. Inmarsat ranks second in coverage with signal available everywhere except the Pole. Besides, registration to the Inmarsat network requires a clear line of sight to the equator and may not be suitable for use in canyons or mountains. With access in over 140 countries, Thuraya provides coverage across 70% of the world. Globalstar coverage depends on data type transmission – voice, duplex or simplex. The last one, suitable for GPS tracking, is available on nearly the whole Globe excluding the Poles and some part of the Pacific Ocean. Gurtam has been working with satellite terminal manufacturers for years ensuring Wialon full compatibility with such type of devices and providing our partners with an opportunity to diversify their services. How make use of Wialon in areas with no GSM coverage? Today we’re going to share some cases of satellite connectivity application in Wialon system. 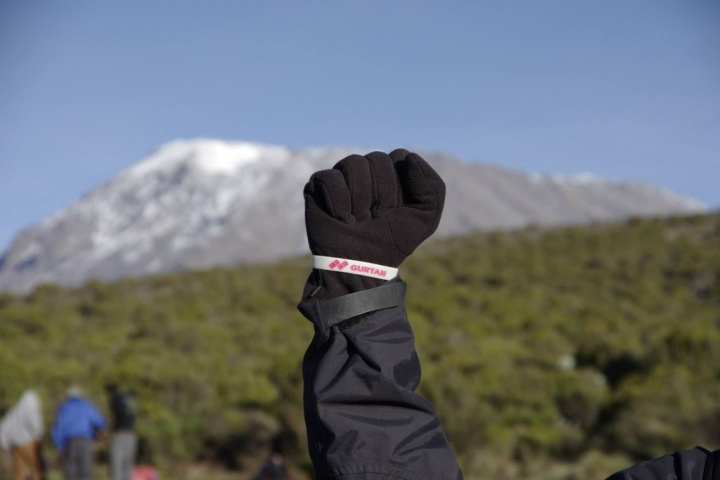 Operations in remote locations and harsh environments require reliable and rugged products that perform when needed. Safe and efficient operations are critical for the energy industry, especially for those involved in Mining, Oil and Gas exploration and production. GPS tracking system with satellite/ dual-mode GPS trackers are widely used by Mining, Oil and Gas companies to reduce fuel costs, increase productivity and safety control. 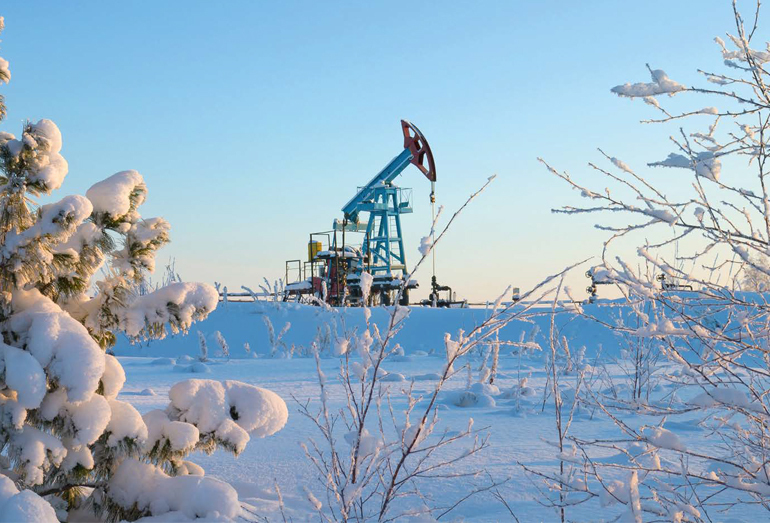 As an example, a Gurtam partner uses NAVISET hardware + Wialon system to provide its customer, a senior gold mining company, with fuel control system and real-time tracking in Kupol gold mine located in the Chukotka region of the Russian Far East (600 km to Pevek harbor). The main reason for the system installation was high level of fuel thefts among workers. The solution allowed for fuel thefts elimination and prompt reaction to equipment failure or any other emergencies, thus cutting fuel and depreciation costs. Satellite communications in Wialon is also essential for asset tracking in remote areas with low GSM signal. The complex solution is often used for tracking of gas-distribution stations, oil derricks, well drills, hydroelectric power stations, etc. Wialon allows for real-time operation control of remote assets. The system continuously analyses various sensors data and alerts a dispatcher in case of equipment failure. The map of ongoing armed conflicts in the world[/caption] As an example, a Gurtam partner from MEA region equips customers’ units with dual-mode (GSM/Satellite) trackers to provide constant real-time monitoring as well as duplex communication with a dispatcher. In case GSM is unavailable, the system automatically switches to satellite connection. 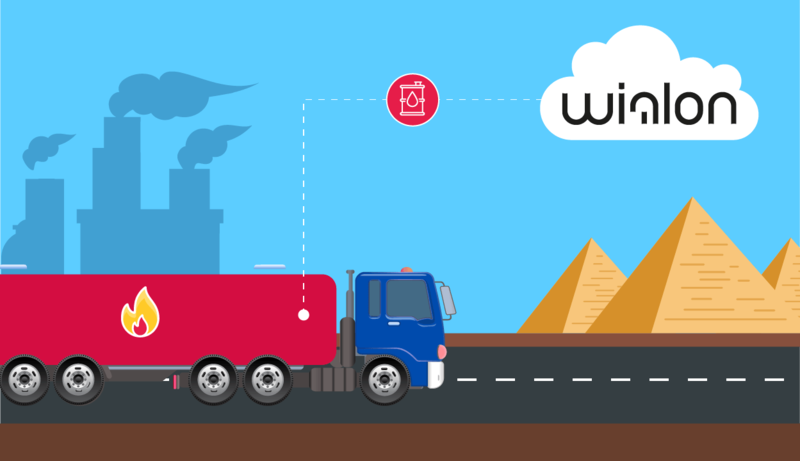 In addition, Wialon system combined with a satellite controller is more cost-effective solution than simple satellite voice communication since it allows for addressing a wide range of business tasks, providing a versatile tracking and a superior management interface to keep each unit connected and visible, allowing for sound decision making and efficiency. Today's global businesses and organizations must be prepared to operate in challenging environments where the uninterrupted communication with and tracking of staff is essential for ensuring operational efficiency and effective contingency planning. By establishing full visibility of workers and their proximity to one another, premises, vehicles and other points of interest, dispatchers are better positioned to coordinate and direct responses to whatever situation may arise. Furthermore, keeping track of lone workers, tourists, search and rescue teams, especially in remote or hazardous areas, can be extremely challenging, yet is critical for safety and efficiency. 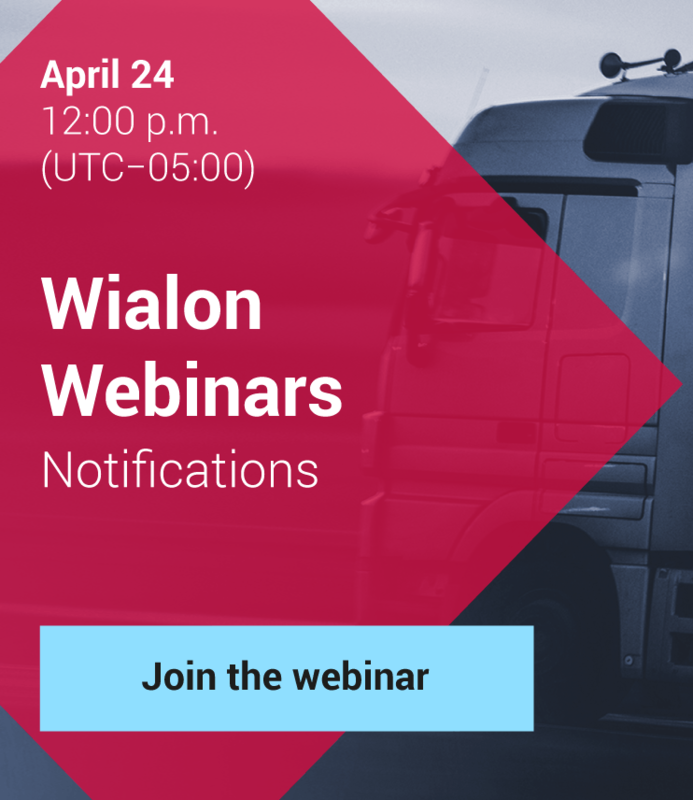 With Wialon system combined with a satellite personal tracker a dispatcher can visualize unit status and location as well as communicate with a person. For instance, DelorMe inReach tracker allows for two-way communication via Iridium satellite-based signals: a person can send and receive text messages as well as send SOS signal for emergencies. Another example of personal satellite tracker popular among Wialon users is SPOT device by Globalstar. It provides location-based messaging and emergency notification technology that allows you to communicate from remote locations around the globe. It offers custom tracking interval options, motion-activated tracking, long-life battery and more. Maritime routes often lay through the areas with weak GSM signal or without it. For some companies message frequency and location accuracy are not of critical importance (in such cases you can use our LBS service as well as GPS hardware with black boxes), for others it’s vital to have constant real-time tracking of vessels. For example, Wialon system combined with a satellite controller is used for cargo tracking of vessels, whose routes lay through hazardous East African waters. 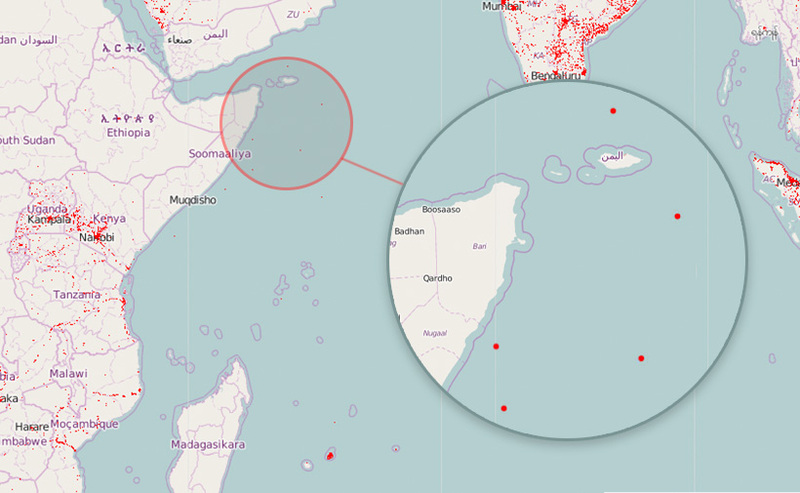 Because of Somali piracy, this part of the Indian Ocean is considered to be one of the most dangerous in the world. The pirates seize not only small vessel but also big tankers and cargo ships. One of the world’s largest dredging companies asked Gurtam partner to provide asset visibility for boats transiting the dangerous waters off East Africa and as far South as the Seychelles. The solution required a maritime device capable of long transits with no human interaction. These devices are used to mark assets that if required, would be cut lose in an emergency and later relocated using the transponder to guide the client's vessels to them. In addition, there was an urgent requirement to provide back-up satellite communications for passages through the more hazardous shipping lanes – namely the Horn of Africa. Although GSM connection is much cheaper than satellite one and covers 98% of the “population”, it still misses a great part of the land mass. If your business deals with activity in remote areas of the globe, GSM is not the answer for you. Whether your assets are at sea, in the desert or in the city, with Wialon-satellite tracker combination you will be assured they are located and safe. See all satellite terminals supported in Wialon. Investigating the latest developments by Streamax. Optimizing delivery processes with non-standard tracking devices.